Have you researched the latest advances in pre-treatment, racking strategies and powder formulations? These advances do more than just increase the quality of the parts you deliver to your customers. 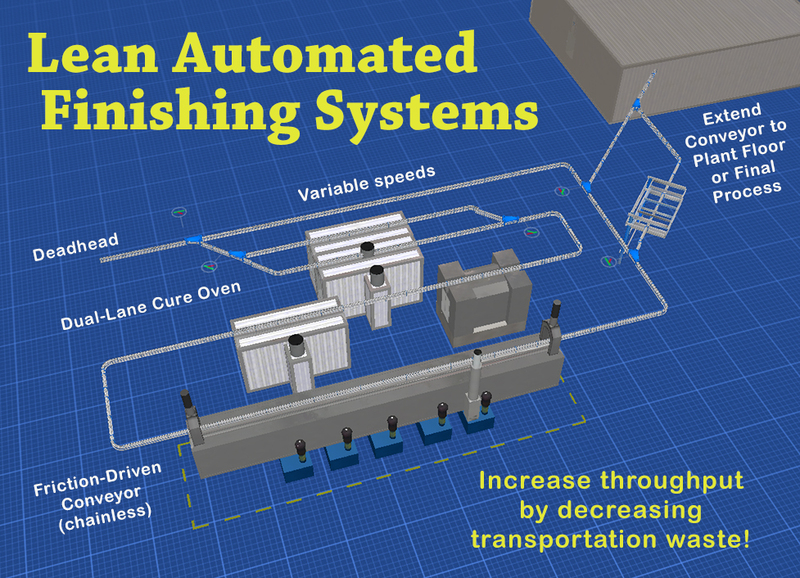 IntelliFinishing complete paint systems for manufacturers offers Lean automated finishing systems that increase your throughput by minimizing line gaps therefore decreasing waiting and transportation waste. Our distinctive friction-driven (or as we call it, chainless) powder coating or liquid paint conveyor sytem is designed specifically for your manufacturing facility (with your provided specifications) to improve flow with dual lane ovens that optomize cure times with recipes to provide your customers with parts that are cured accurately and consistently every time. Because it’s not a monument system, our automated paint systems allow for adjustment or expansion to your paint line as new products and processes are introduced! Did you know that we have tours available? Centrally located in the United States, you can tour a powder coating system that includes a shot-blast spur, or a liquid coating facility to get a visual of what advanced technology can bring to your manufacturing facility. Or you can simply contact us to discuss your automated paint system needs. 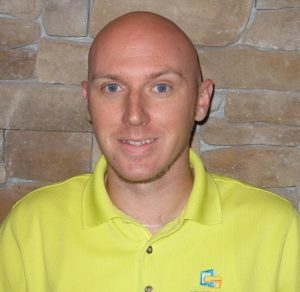 Congratulations to IntelliFinishing’s Joshua Gilmore for being chosen the Central States Chapter Supplier of the Year! Joshua was recognized on Tuesday, June 20th at the annual meeting for his support and commitment to his chapter and CCAI. Read more here. The Chemical Coaters Association International is a technical and professional organization that provides information and training on surface coating technologies. Mulitiple active local chapters across the U.S. serve as excellent forums to discuss regional concerns, as well as connect finishers and suppliers through multiple networking opportunities.